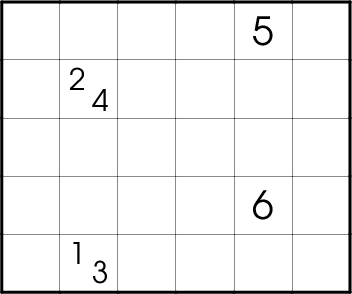 Rules: Colour some unclued cells black so that all black cells form a single polyomino that does not contain a 2 by 2 square. 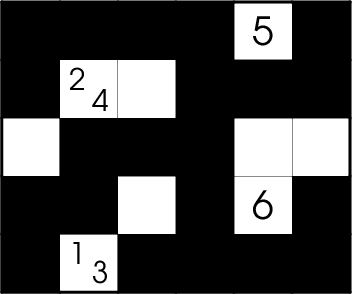 A clue indicates the multiset of the areas of the orthogonally connected components of the set of all black cells that are either orthogonally or diagonally adjacent to that clue. Here are the Tapa Variations Contest rules.